Any bookie would recognize a lame horse when they saw it. 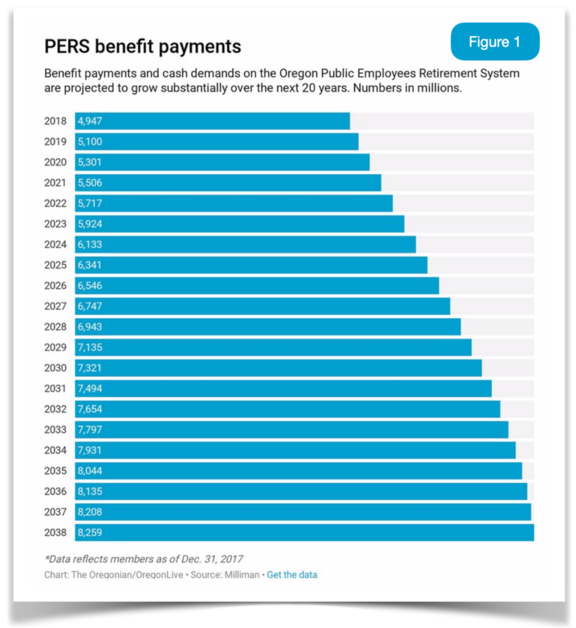 Namely, PERS had a negative cash flow of $3,300,000,000 ($3.3 billion) during that one-year period and the problem is getting worse. One would think that a negative operating cash flow of this size, shape and demographic velocity would be seen as a bad omen and everyone would be worried. Yet, no serious reforms can even get traction because everyone is bogged down in language about fairness, safety, inclusion and the need to fulfill promises. Yet when the trestle bridge gets overloaded because everyone wants off the island at the same time, a lot of people will get hurt. In this environment it’s hard to project the details lying dormant within the blue-sky assumptions undergirding the PERS system. Even more difficult to grasp is the catastrophic potential that these assumptions mask when market events slowdown causing liabilities to balloon. In a recent Oregonian article, Allen Alley, a past gubernatorial candidate, inventor and technology investor, suggested that policymakers should start looking at the actual cash flowing out of the system. Alley calculates, that the 4.1 million tax-payers will owe $225,000,000,000. ($225B) for state employee retirement benefits over the next three decades. Although PERS, as an issue, is always present, it is treated like a heavy punching bag in the corner at the gym–it gets ignored. Unfortunately, our governor’s top two policy goals aren’t related to PERS. They are revenue, staff, and policy issues that grow government and eventually worsen the tax-payer burden while ignoring the economic reality barreling straight at all municipal, county and state governments across the US. For many years, annual returns for employees and their benefit accounts were pegged at 8-percent per annum. These promises were made during a brief period when that rate seemed reasonable but would have long-term unintended consequences. 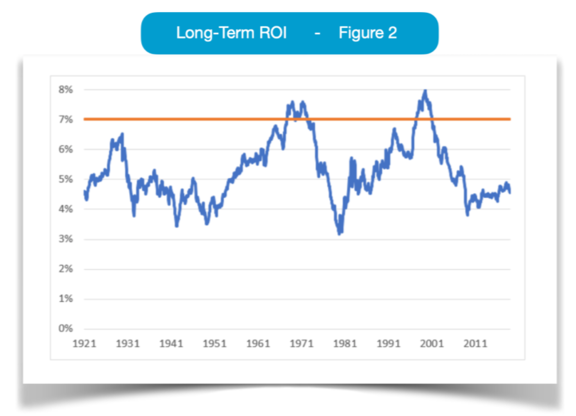 Additionally, this return-on-investment (ROI) was guaranteed by tax-payer pickups during years with lower returns. The proverbial spilled-soup comes when one realizes that once the base value of assets starts to decline there is no scooping it back up. The shrinking asset base can’t keep up with the demand pressure from the actuarially accrued increases in liabilities. Additionally, as payouts create greater shortfalls, the overall asset base shrinks even more, further inhibiting the fund’s ability to ever get ahead of the curve. This is a truly dire situation created by more than 50 years of unrelenting government growth sanctioned by elected representatives. It is unconscionable to not address this inadequacy when there are thousands of folks who will be negatively affected by this tragedy if we fail to act. 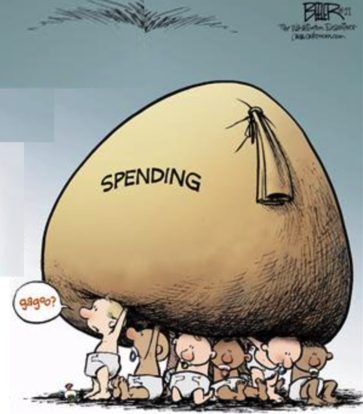 Without a momentous shift toward slowing the growth in government our PERS dilemma will only worsen. Additionally, significant and serious modifications to new employee standing is the only mechanism that can begin to stem the potential economic tsunami resulting from a market downturn. Without these changes Oregonians will face far more turmoil than the political elites ever imagined. Remember, if we don't stand for rural Oregon values and common sense – No one will!